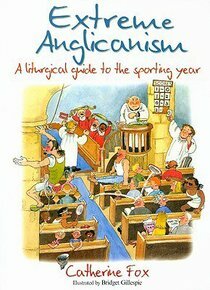 In this book, Catherine Fox suggests a completely new liturgical year, starting with the Season of Football (colour* black and white stripes), then passing through Rugby (blood), Cricket (white with grass stains) and Wimbledon (clergy, white; laity, purple and bottle green). High days include the Feast of the Blessed Jonny Wilkinson, and, for our friends Down Under, Billabong Sunday with its unique liturgy (yeah, with you too, awesome priest dude). ;She also identifies several biblical sporting heroes, such as Jonah, who took swimming with dolphins a whole step further. ;As the author's elder son observes, there are three kinds of people, those who can count, and those who can't. 'Extreme Anglicanism' will help you score in the Great Game of Life. - Publisher Football has taken over as the international religion of choice, so why don't Anglicans take a leaf from the footie bible and adopt a new, sporting liturgical year? This book takes an irreverent look at church life, suggesting more parallels with sports and those who play them. Football has taken over as the international religion of choice, so why don't Anglicans take a leaf from the footie bible and adopt a new, sporting liturgical year? This book takes an irreverent look at church life, suggesting more parallels with sports and those who play them. Catherine Fox is a novelist, historian, mother of two small boys, and a vicar's wife in the UK.